Type information directly into an easy to print / e-mail PDF form and send to other users. All numbers are calculated automatically on the PDF form - change a number on the form and everything is recalculated for you! 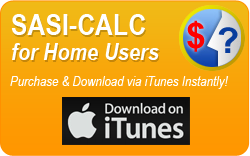 Get the latest version of SASI-CALC now and YOU WILL HAVE THE SAME VERSION THAT IS BEING SUPPLIED TO COURTS! Easily save and e-mail financial forms to other users. 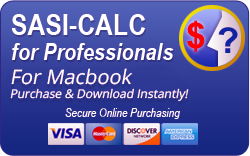 Free Adobe PDF Forms calculate all mathematical figures instantly and save. New! - Court form that will be handed out as to their decision. The new form was changed in consultation with various Judges and Masters. Special calculation buttons convert bi-weekly, weekly, semi-annually, and annual salaries to monthly income at the click of a button. Easy to read print outs. Shows calculations on the screen as changes are made. No need to switch screens. Pre-programmed counties for easy selection. 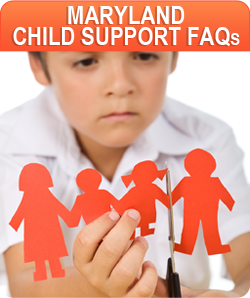 Quickly changes between shared and sole custody without changing screens. Comment box for special notations. Saves time -allowing you to make extra money! SASI-CALC VERSION 13 for 2016 NOW AVAILABLE, containing the LATEST Maryland Child Support Guidelines. One of the nation's leading divorce lawyers now offers his internal and confidential divorce financial worksheets to help those anticipating or going thru a divorce. © Copyright 2013 Support Analysis Software, Inc. All Rights Reserved.